If you’ve arrived to this page, you are probably wondering how to remove chlorine from your body and hair. If so, you’ve found the right place. 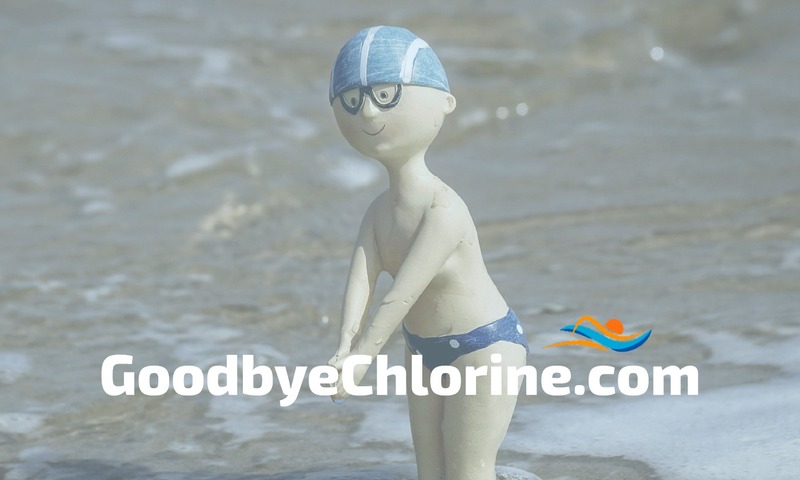 We are experts at removing chlorine and on this page we will give you our product recommendations, tips and tell you how to purchase our products at the best discount. Chlorine is sanitizing and drying. After prolonged and repeated exposure, it will damage your hair and skin. How much chlorine irritates you depends on how sensitive you are to it. For instance, if you have light blonde and fine hair, the chlorine may turn your hair a greenish tint. Or you may have sensitive skin, and exposure to chlorine will cause you to develop a rash. This condition is commonly known as “chlorine rash”. Because everyone is a little different, there’s not a one-size-fits-all solution to dealing with chlorine. In this article we will give you all of our best information, so you can make a good decision about which products will work for you. Shower Gel – Our shower gel is perfect for gently removing chlorine from your body after swimming. This product works well for most people and is our most sought after product. It gently removes the chlorine that has stuck to you while swimming. You will notice after using this product you no longer smell like chlorine which is proof the chlorine is gone. Lotion – Chlorine drys out your skin and our lotion returns this lost moisture to your skin. It also contains chlorine neutralizing agents in case you missed some spots in the shower. If you have problems with dry skin after swimming, you’ll love our lotion. Soap – We recommend using our soap at home between swims. Our soap is highly emollient (moisturizing) and washes off easily. It contains chlorine neutralizing ingredients to make sure the chlorine stays off. Spray – If you have super-sensitive skin and want our strongest chlorine neutralizing product, then our anti-chlorine spray is for you. It can be used on your hair and skin before showering. Rinse off before using our other products. Conditioner – This is the product we recommend for everybody and this single product works well for most people. Yes it may seem a little weird not using shampoo after swimming, but consider this: Your hair has already been cleaned by the chlorine, and you’ve lost lots of moisture. What you need is to very gently remove the chlorine and return some of the lost moisture to your hair. Our conditioner does all of this. We recommend first trying only our conditioner after swimming and see how it works for you. Styling Protectant / Leave-in Conditioner – If the chlorine really dries out your hair or if you use heat to style your hair, then you may consider our styling protectant and leave-in conditioner. It can also be used as a pre-treatment before swimming if you wear a latex cap. Putty – If you use a hair wax or hair gel, then you may consider using our hair putty. It is a strong hold hair wax that also contains chlorine neutralizing ingredients. The big bonus to this product is that it also adds some oils back into your hair and keeps it looking healthy and feeling good. A pro tip: it can also be used as a pre-treatment before swimming if you wear a latex cap. Shampoo – Ours is a highly-specialized shampoo that removes chlorine in the most difficult hair. Our shampoo isn’t for everyone, but if your hair doesn’t play well with chlorine and you need to get it out, then consider using our shampoo. If you are more of a ‘normal’ hair person, then try using only our conditioner. Spray – This is our strongest chlorine removing product. If the chlorine turns your hair green, or if chlorine causes severe damage to your hair you may consider using our spray, then follow with our conditioner and possibly our styling protectant. The old saying goes: “An ounce of prevention is worth a pound of cure”. And it’s true. Although there is no foolproof way to keep chlorine off your hair, these tips will help minimize the damage. Tap Water – Before swimming soak your hair in the shower. You hair will absorb the shower water and make it much harder for the pool water to get in. Think of your hair like a sponge. Once your hair absorbs this water it’s much less likely that more will get in. And yes, shower water does have chlorine in it, but much less than the pool water. Pre-treatment – After wetting your hair, apply our anti-chlorine conditioner, styling protectant, or hair putty. These products will all help to create a barrier to the pool water. Don’t bother with this step if you don’t wear a latex swimming cap. Latex Swimming Cap – Wear a latex swimming cap. It acts as a physical barrier and helps keep the swimming pool water away from your hair. This won’t completely keep the pool water out, but it willreduce the amount of pool water that gets on your hair. We sell our products exclusively on our website. The best discount is to buy our bundled products. See our best deals (bundled products). See our recommended value bundle. Better Together – For people who want to buy shampoo and conditioner combos. Great Value Bundles – For people who want shower gel, shampoo and conditioner combos. Recommended Bundles – For people who would like to follow our recommendations on this page. Super Bundle – For people who want just about everything we offer, and want to get our best deal. Check out our shipping and handling and return policies. If you have questions, please contact us. Anti-Chlorine Shampoo and Conditioner: Instantly removes chlorine. Swimmers’ Hair: How to prevent chlorine from damaging your hair. Science of Chlorine: Why it’s important for public health. What Causes Swimmers’ Hair and How to Care for it. Chlorine Hair: It’s easy to fix if you do this one thing. Body Wash After Swimming: What elite swimmers use. 5 Pro Tips: Protect your hair before swimming. Protect your hair color before and after swimming. Chlorine removal body wash for swimmers. Swimming every day? Three chlorine protection tips you need to know. Moisturizer for Swimmers: Keep your hair and skin moisturized. Previous post: Shampoo for Swimmers’ Hair: What elite swimmers use.